The Pavlicek crew with "Set 'em Up" 42-94787. Standing L-R: C. Pavlicek, H. Glover, H. Graham and W. Vernuille. Center L-R: D. Spher, T. Mascarella and K. Westenburger, Ground Crewmen. 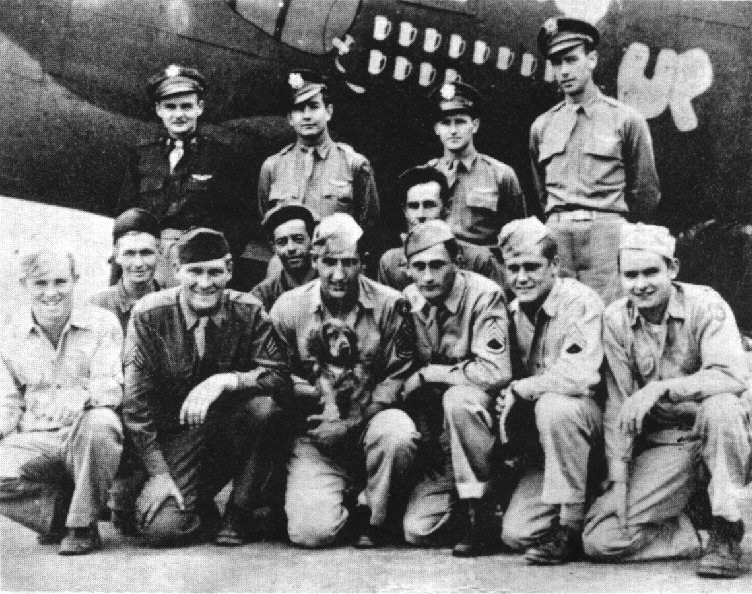 Kneeling L-R: W. Griffis, M. Chapman, J. Crouch with the dog, H. Crawford, R. Hendricks and W. Oneschak. Standing L - R: Walter O. Verneuille (CP), Charles B. Pavlicek (P), Herbert W. Graham (N), Halsey S. Glover (B). 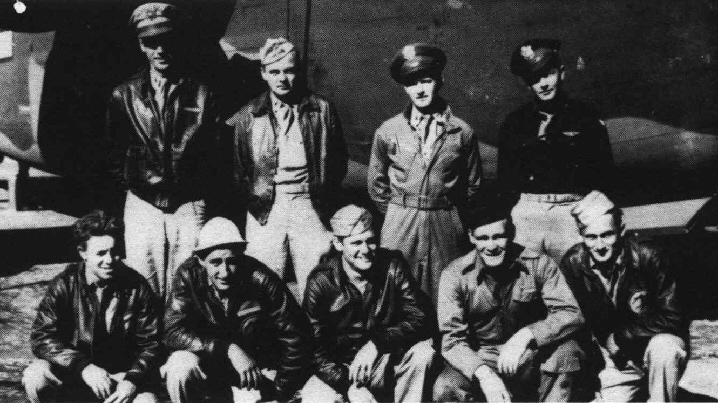 Kneeling L - R: Willis W. Griffis (E), John H. Crouch (R), Robert L. Hendricks (G), McDonald D. Chapman (G), Harry J. Crawford (G).